William M. Berger – Berger-Epstein Associates, Inc. 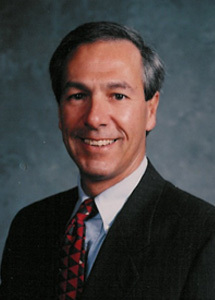 Prior to forming Berger-Epstein Associates, Inc., Mr. Berger held executive positions with The Goodman Company, Arlen Shopping Centers Company (now CBL & Associates Properties, Inc and Maret Development Corporation, all national shopping center development companies and had been in private law practice. William Berger has been a community leader for much of his adult life. He has served in leadership capacities on the Boards of Governors of the Lehigh Northampton Airport Authority and of the St. Luke’s University Health Network Allentown Campus. In past years, Mr. Berger has been a member of the Board of Directors (and past multi-term Chairman of) the Allentown Economic Development Corporation, a public/private nonprofit economic development corporation, a member of the Allentown Zoning Hearing Board, and a member of the Board of Governors of the Allentown Chamber of Commerce. He is a former Ski Patroller with the National Ski Patrol and, as a long time licensed commercial pilot, Mr. Berger is also a volunteer pilot for the Volunteer Pilots Association and Angel Flight East.